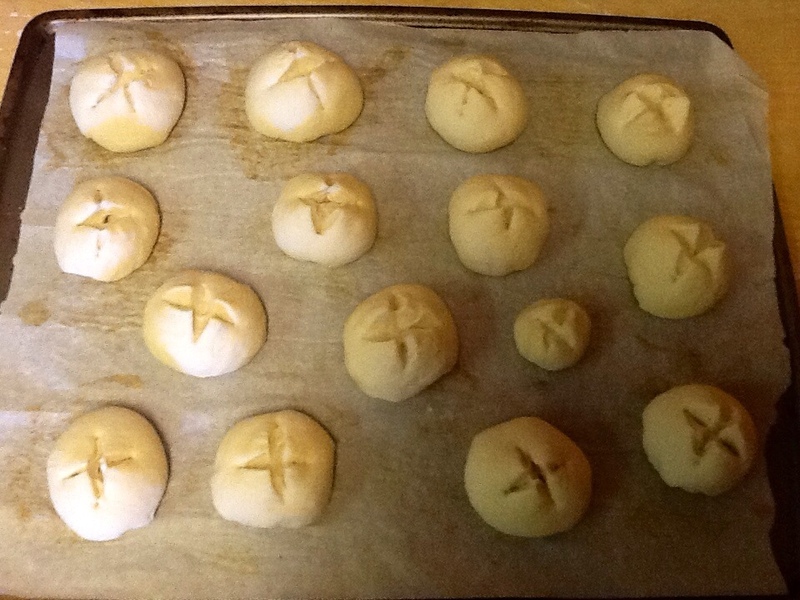 Over at Julie's: Kaiser Rolls with an Attitude!!! Who doesn't love a beautiful Kaiser Roll? I decided to save the potato water from Will's mashed potatoes to make these rolls extra tender on the inside! They surpassed my wildest expectations of what a great Kaiser Roll should taste like!!! Note, if you don't have potato water available, substitute warm water and increase salt by 1/2 a teaspoon (you will have good Kaisers, but not great Kaisers). 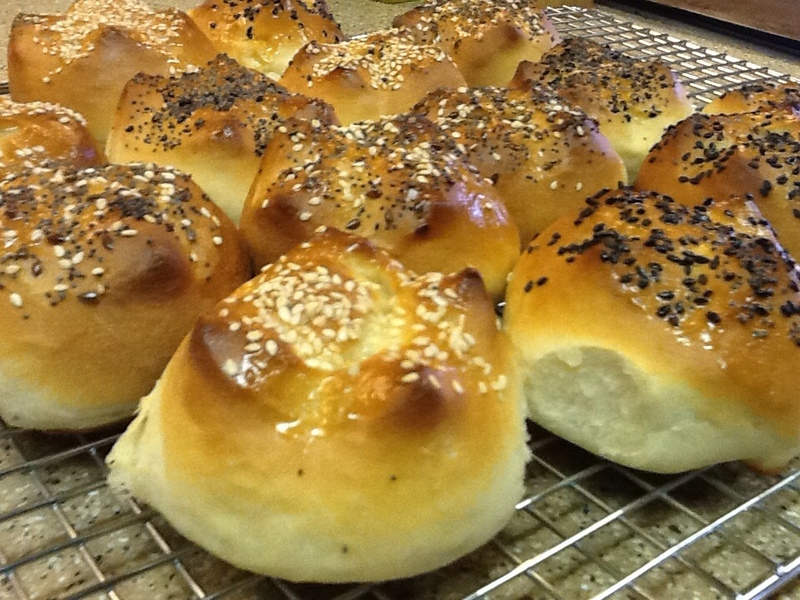 Kaiser Rolls make great dinner rolls and a wonderful canvas to stack Oven Roasted Turkey Breast between. Slightly crunchy on the outside, light and tender on the inside, and the taste . . . Spectacular!!! I've never liked a recipe that asks you to "divide the dough into 15 even pieces". I mean, how is that humanly possible? The only way to do it is to weigh out your dough and divide by how ever many pieces you're supposed to have, weighing each individual piece of dough. I decided there had to be an easier way to make these beautiful puffy rolls . . . I am using my trusty bread machine to do the mixing and first rise and a neat little trick I came up with to keep my rolls uniform in size and shape. 1 egg white, whisked together with 1 teaspoon water. Place all ingredients in bread machine pan in order listed, making a shallow well in the center of dry flour for your yeast, (unless manufacturer of bread machine uses a different order). 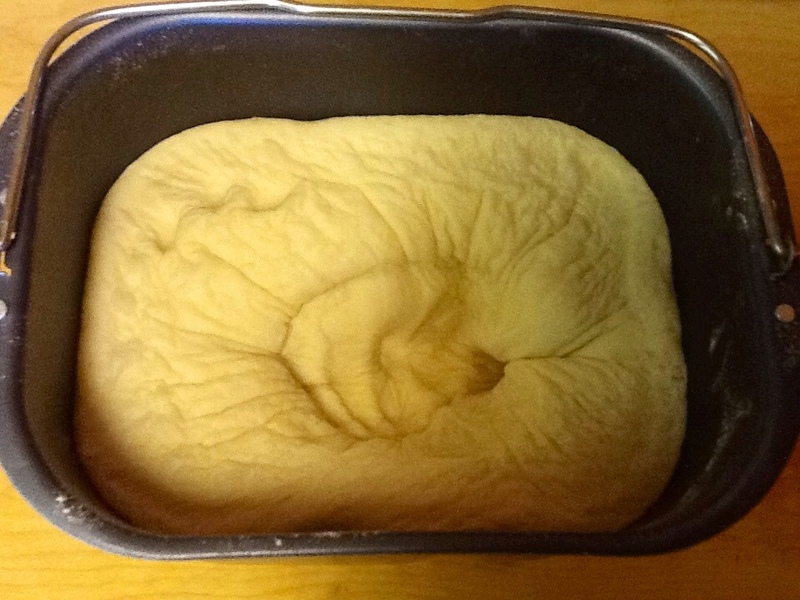 At end of cycle, gently push dough down. 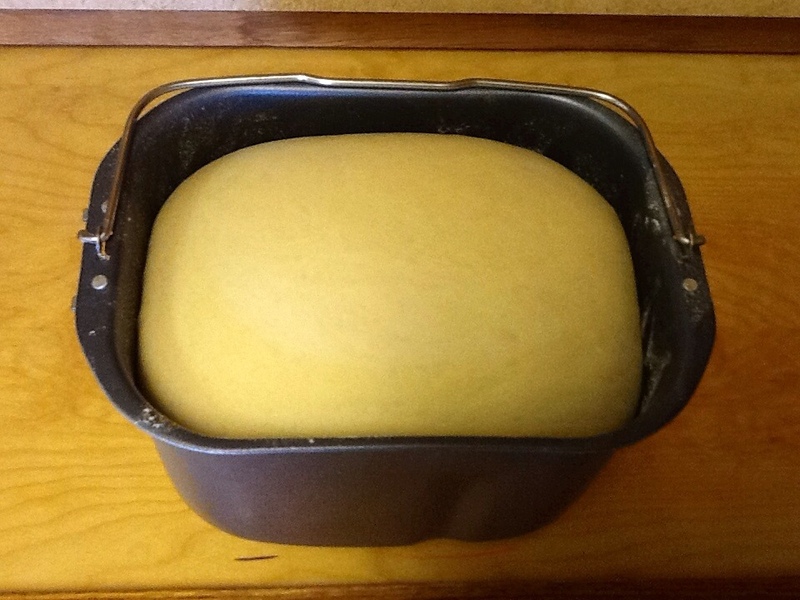 Place dough on a lightly floured surface and roll out to 1/2-inch thickness. 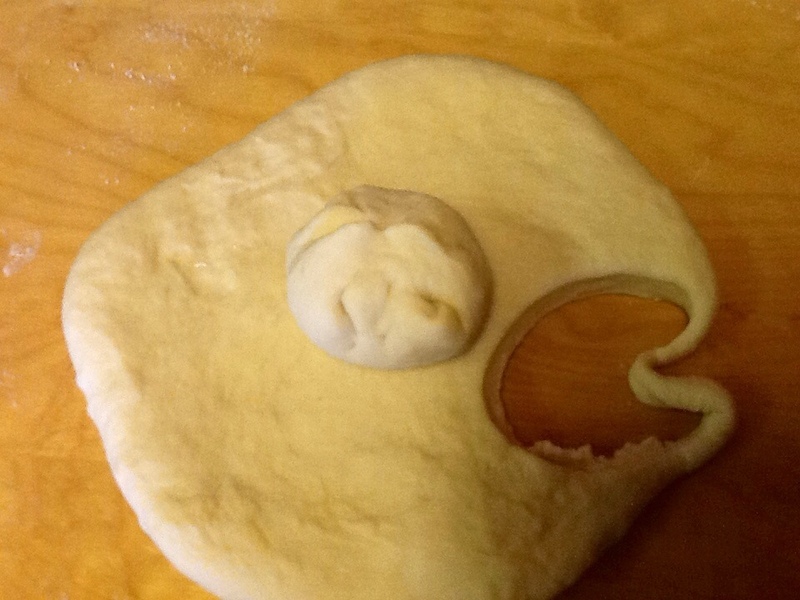 Cut out dough using a 2 1/2-inch biscuit cutter. Fold edges under pinching together to form a nice plump ball (see photo). Place baking rack in center of oven. Preheat oven to 400F. Place rolls on greased or parchment lined baking sheet; snip an X into the center of each roll using a sharp pair of scissors, cutting about 1/4-inch deep. Cover with greased plastic wrap and place in warm spot to rise until doubled (about 30 minutes). Brush egg white over rolls and sprinkle with seeds. Bake at 400F. for 15-18 minutes or until golden. Nice soft, pliable dough, just the way you want it! 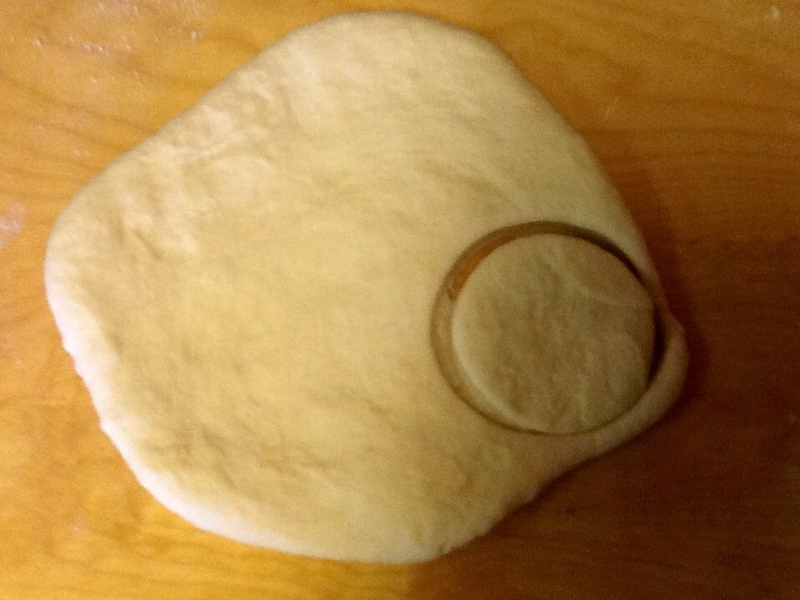 Roll out dough to 1/2-inch thickness and cut with a 2 1/2-inch biscuit cutter. Fold edges under on each round, pinching together as shown in above photo. Place pinched side down and snip an X in the center of each roll. 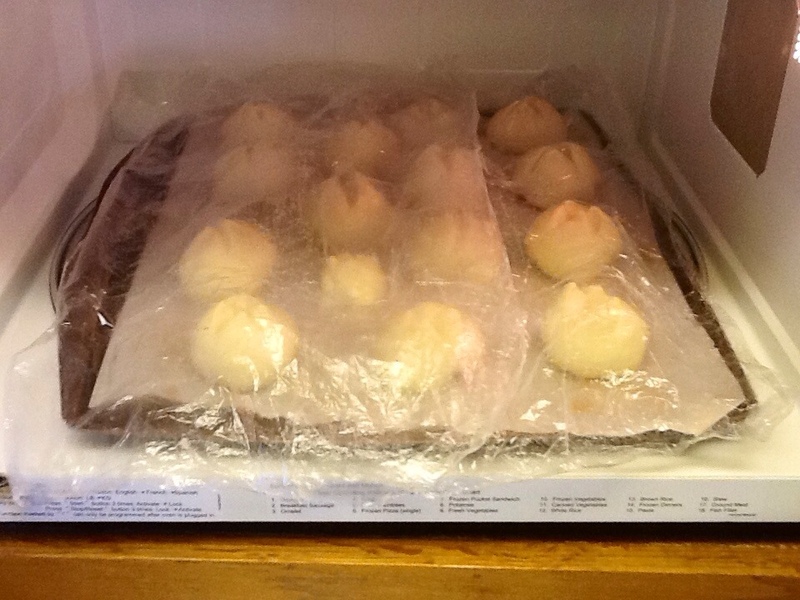 Cover rolls with greased plastic wrap and let rise in a warm place for about 30 minutes, until doubled. 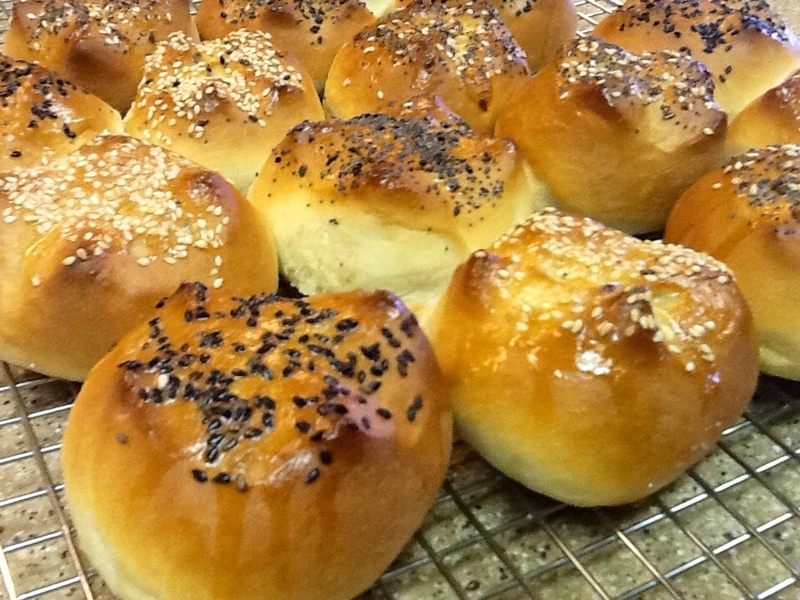 These Kaiser Rolls definitely come with an Attitude, and they are so easy to make! With the bread machine doing the hard work, and my little trick for making each roll uniform in size . . . you might develop an attitude too when you show off your Kaiser Rolls! Just tell them you found this recipe . . . Over at Julie's!! !